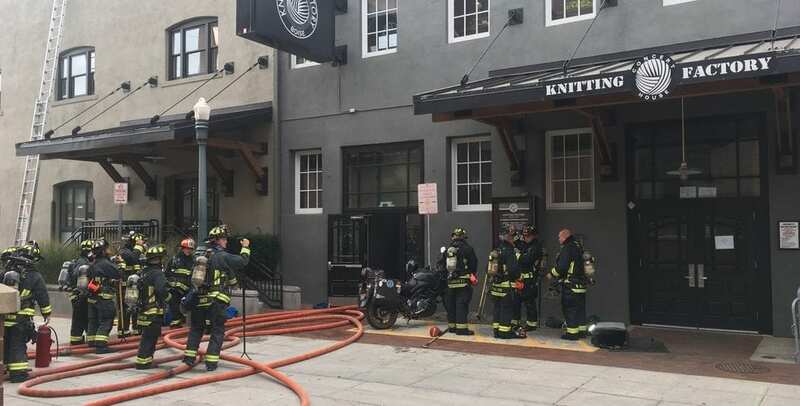 A fire occurred at Boise, Idaho’s Knitting Factory entertainment venue this past Tuesday, leaving about 60 percent of the building damaged by flames and water. The incident was reported at 5 p.m. Tuesday. While there were no major injuries at the scene, three people were treated for minor smoke inhalation. Reportedly, the fire began burning underneath the wooden floors and walls on the second floor. The venue, located in downtown, can hold about 1,000 people. As of Wednesday, the fire still remained under investigation. While there was construction taking place in the building, first responders were unsure if that work was related to the fire, Boise Dire Department Division Chief Paul Roberts said. Tonight, a Lizzo and Chanti Darling concert was scheduled to take place, but as of yesterday, the show was moved to Revolution Concert House. The venue noted that all tickets will be honored. Talent buyer Danny Glazier said that they are going through their calendar of other shows to determine their next steps following tonight’s concert. For a full list of upcoming shows, visit The Knitting Factory’s website.